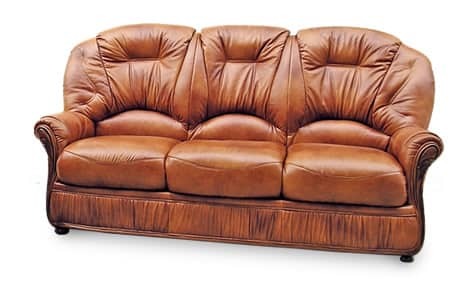 The leather Diana Chesterfield Sofa is the epitome of modern sophistication and comfort. This luxurious piece is made from only the finest Italian hide and finished with highly polished wood facing detail and feet. Bespoke to order, the Diana Chesterfield Sofa is available as a 2 or 3 seater in Antique Ox Blood, Antique Green, Cream, Fudge, Tan, Havanna, Black and Cocoa.